rich, frozen treat during the summer. So, if you want to eat this for breakfast, I won’t judge. Especially if it is hot out, you are totally allowed then. I am fairly certain it is a caloric rule. Somewhere. have to take his garbled word for it. It’s just that good friend. In a large ziploc bag, combine cereal and butter, seal bag and shake to mix. a rolling pin to crush the cereal into fine crumbs for the chocolate crust. Press into a greased 13″ x 9″ pan and set aside. a hand mixer, add vanilla, milk and powdered sugar, mixing well until smooth. Gently fold in topping and spread over chocolate crust. Cover and freeze for 3+ hours or until frozen. To serve cut into squares and garnish with chopped peanuts. Ooh yum, this looks delicious! Pinning it! This looks very good Tanya! Can't wait to try it out this summer. Thanks for sharing! Oh yum! I'll definitely be trying this out. Thanks, Tanya! Oh my, this looks delicious! Pinning this right now! This looks great. I love easy frozen dessert recipes, especially ones with peanut butter! Thanks for sharing. Yummy! I have to try this out soon. Thanks for sharing, Tanya. Thanks for sharing at The DIY Dreamer… From Dream to Reality! Looking forward to seeing what you have been up to tomorrow evening! I need to try this Tanya, it looks so good. Love PB! Oh my this looks super yummy! A definite Pin! Yum! This looks delicious! Pinned it for later! Sounds delicious – pinned it. I'm your latest follower. Peanut butter is my husband's FAVE!! This looks fantastic, friend! ohhh myyyy gosh, this looks so YUMMY! 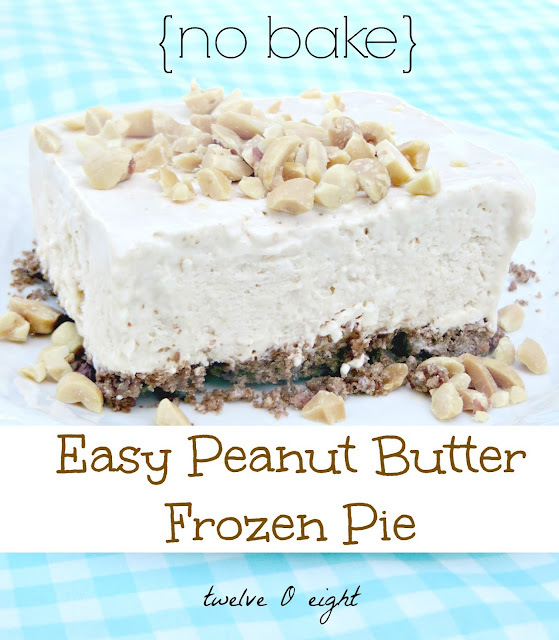 My husband loves peanut butter desserts and I love anything no bake ha! Pinning! well-appreciated than you may be right now. You’re so intelligent.